I'm generally not a fan of meatballs, but Mr. Butler certainly is so I've made them more times than I'd like. The recipe below is something I ran on to that is not only easier than any other meatball recipe I've tried, but it tastes better (to me at least)! I've tried it with beef or ground turkey and it does equally well. For bread crumbs I like the panko style the best. 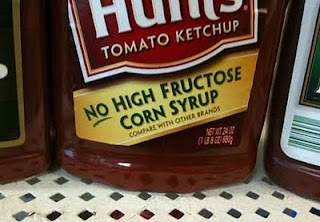 And finally, to make it healthier I usually use ketchup that doesn't have high fructose corn syrup (like Hunts) and Sugar In the Raw, instead of brown sugar. Combine and scoop out balls into a 9 x 13 in. glass dish. Combine and drizzle over meat. Bake at 350 for an hour or so, depending on how crispy you want it.